The Voice Australia Season 6 Blind Auditions continue tonight, Tuesday, April 25, 2017 at 7:30 pm on Nine Network. Last night, six talented singers took the stage to perform in front of the judges. Five of them turned chairs and were given the opportunity to perform in the next round of the competition which is the The Battles. 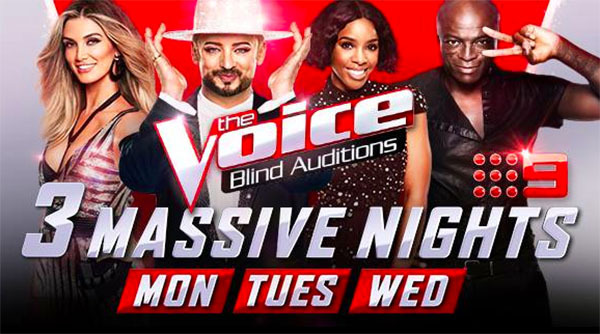 Tonight, the Voice judges including Seal, Delta Goodrem, Boy George and Kelly Rowland continue their search for the best singers across Australia to join their Team. Keep locked on this page, The Voice Australia Season 6 April 25, 2017 Episode 2 replay and performance videos will be added below once available online. What can you say about tonight’s performances? Share thoughts on the comment section below!